Strasbourg may be bottom of Group A with a 3-5 record but they are far from being down and out. They could be eliminated from the Euroleague if they lose and other results conspire against them but that also means that a win will see them fighting fit in the final round. As for Khimki, they know that their tie-break advantage over Zvezda and Madrid leaves them needing a win to clinch qualification. While the French side have a 3-5 record overall this campaign, they hold a 3-1 record at home, so they won’t feel overawed at going into this game. The home crowd gives them a great deal of backing and they will be desperate to see more Euroleague games in the New Year. Of course, there will also be a need for Vladimir Golubovic to stand up and add to his impressive statistics for the campaign so far. It could be a last hurrah or it could be the game that breathes new life into Strasbourg’s Euroleague season, which makes it a very exciting game. 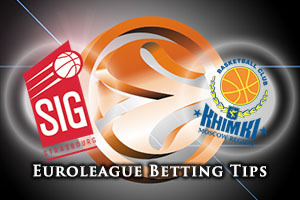 While Khimki will know that Strasbourg at home is a very different proposition compared to Strasbourg playing away from home, they will look back on the performance last month with great satisfaction. 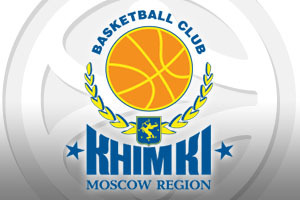 Khimki romped home 88-62 in that game but the Moscow side know that they will be without players like Ruslan Pateev and Paul Davis for this game. There is also a doubt over Marko Todorovic which means that Sergey Monya and James Augustine will need to step up and show what they are made of. It isn’t impossible for Khimki to take care of business on Friday night, but they will need a big effort from their squad. The away team are the favourites for this game and taking Khimki Moscow Region at -6 at odds of 1.90 is likely to be a decent bet for this game. If you have an interest in the Over/Under market, you should consider going OVER 153.5 at odds of 1.90. Bet Now!